Tokyo Ghoul (Live-Action) coming to select cinemas in 2018. Live-Action adaptation gets selected cinema screenings in 2018. 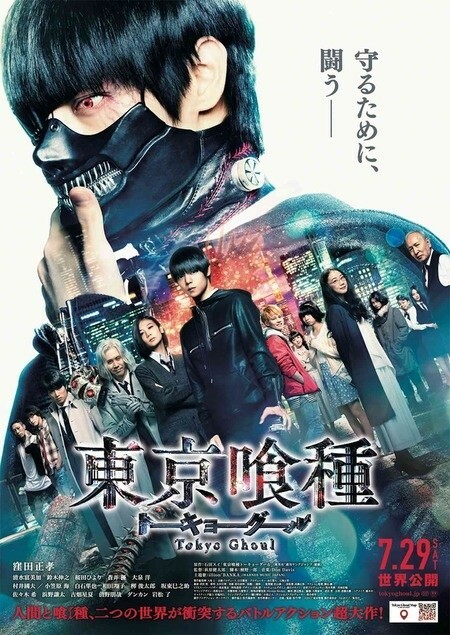 Following its recent UK Premiere screenings at the Scotland Loves Anime film festival, today we have some exciting news for fans of Tokyo Ghoul as we’re happy to announce we acquired the live-action movie of Tokyo Ghoul and will be bringing it to the United Kingdom. We’re happy to confirm that this will be receiving a limited run of selected cinema screenings in 2018 along with a home video release. There are no details to be shared at this time about either of those, but please stay tuned for updates as we can bring them. Synopsis: “Riddled with gripping fight scenes and tasteful gore, this adaptation of Tokyo Ghoul brings the popular manga series to life like never before. We hope you’re excited about this and as soon as we have any more details we can share we’ll be sure to make it known. Will the Tokyo ghoul live action movie be coming to the Halifax / Leeds / Bradford or Keighley cinemas? Will it be at the odeon in Guildford?